Here is the process for scanning in most Canon printers, follow the steps and if you have any questions write a comment. The Canon MP230 printer to scan process do not have it available in the manual of use for the customer, we have previously raised another method for document scanning if you use this printer. Only this process we have raised to Windows XP or rather from a computer using the Windows XP operating system. 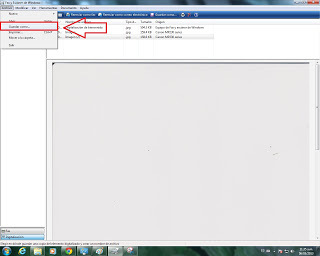 Then we will raise the process for scanning documents or photo using the Windows 7 operating system, mean scanning without the software that brings the printer "which certainly have not seen the software to scan" but thanks to good system interfaces Windows 7 operating smoothly can scan any file you need. 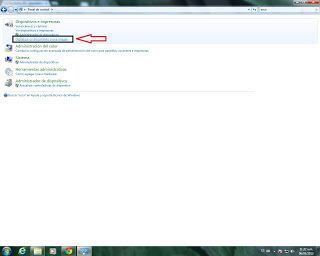 The first thing to do to enter the control panel or panel in your operating system administrator. At the top where is the search engine only write scanning or write the first words the automatic search will present us the available options. The next step is to select the option to scan a document as shown in the picture below, may appear in the last place but this will depend on what are the applications you have installed. The next step is to scan the document, it will need to verify the following procedure, which consists in identifying where in the window that opens to scan appears. Usually it located on the top left of the page. Which another window where we must click the arrow to start the printer to move the scanner lamp and scan the document opens. this may take a while. 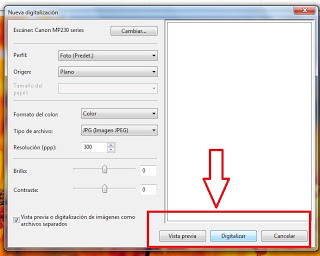 The printer will be heard by scanning the document and a moment later the image appears on the screen blank note, you can select any additional settings that you believe in the left pane of the window. The next step is to save the image, the option to save as, with this we can select a specific type of document is recommended. Select Save from the desktop to more easily to save the document.